Chinese internet giant Tencent Holdings, which runs one of China’s most widely used mobile payment tools, has taken its cashless payment experience to the home market of Apple Pay by serving Chinese outbound travellers in the United States. Through a partnership with Silicon Valley start-up Citcon, the Hong Kong-listed Tencent Holdings now allows Chinese tourists to use smartphones to pay for their purchases at brick-and-mortar stores in the US through its WeChat Pay service. As an integrated feature of Tencent’s popular social networking app WeChat, WeChat Pay, which has more than 600 million monthly active users, is a close second behind Alibaba Group-backed Alipay in China’s trillion-yuan mobile payments market. Chinese e-commerce giant Alibaba owns the South China Morning Post. WeChat Pay’s US launch is the company’s latest globalisation push as both Tencent and Alibaba seek to expand overseas amid their intensified mobile payment competition at home. “Following Chinese tourists’ footprints, WeChat Pay has kickstarted cross-border services in China’s neighbouring countries and regions, such as Hong Kong, Japan and Southeast Asia and will gradually expand across the world,” WeChat said in a statement last week. Wang Xiaofeng, senior analyst with Forrester Research, said the reason WeChat Pay and Alipay are focusing on Chinese outbound travellers is because they are the most important target audience for travel and hospitality industries worldwide. “Chinese tourists are forecasted to spend over US$255 billion abroad by 2025. It is only natural for the two companies to choose the countries and regions that Chinese consumers will travel to the most to expand their business,” she said. WeChat pay is available in 15 countries and regions for payment in 12 currencies while Alipay, which enjoys first-mover advantage in mobile payments, is accepted in more than 100,000 offline stores in 26 countries across Europe, North America, East Asia, and Southeast Asia. The lack of choice in non-cash payment and the rapid adoption of using smartphones to do everything from shopping and hailing a taxi to ordering food deliveries, have made mobile payment increasingly popular in China. The value of Chinese third-party mobile payments more than tripled to 38 trillion yuan (US$5.5 trillion) in 2016 with a combined 90 per cent of the share going to companies affiliated with Alibaba and Tencent, according to estimates by iResearch in China. 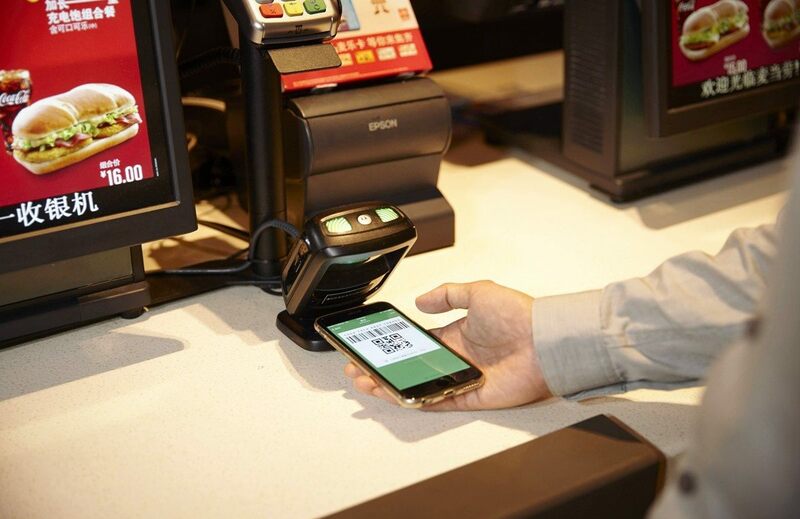 In the US, the mobile payments market grew 39 per cent to US$112 billion last year, according to Forrester Research, with market share dispersed among rival players including Apple, Google, Samsung and PayPal. Despite the huge transaction volumes of Alipay and WeChat Pay, Wang of Forrester Research said market entry obstacles like differences in business culture, consumer behaviour and regulations make it unlikely the two companies will operate beyond their target of Chinese travellers in overseas markets.